My potato-loving husband had a great time when we were travelling (and eating) through Europe last year. Every main course we ordered- be it fish or meat- had with it a side of potatoes. 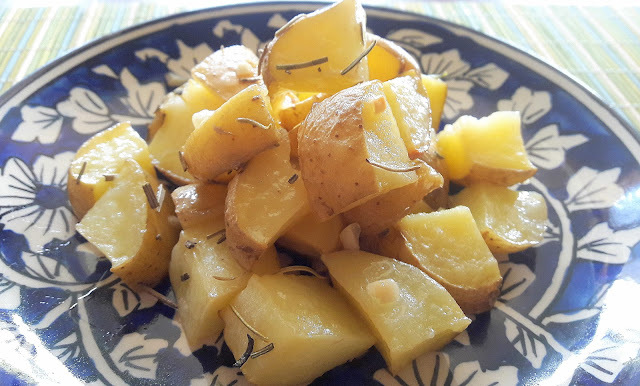 Roasted potatoes, mashed potatoes, creamy potatoes, garlicky and herbed potatoes... ah potatoes! 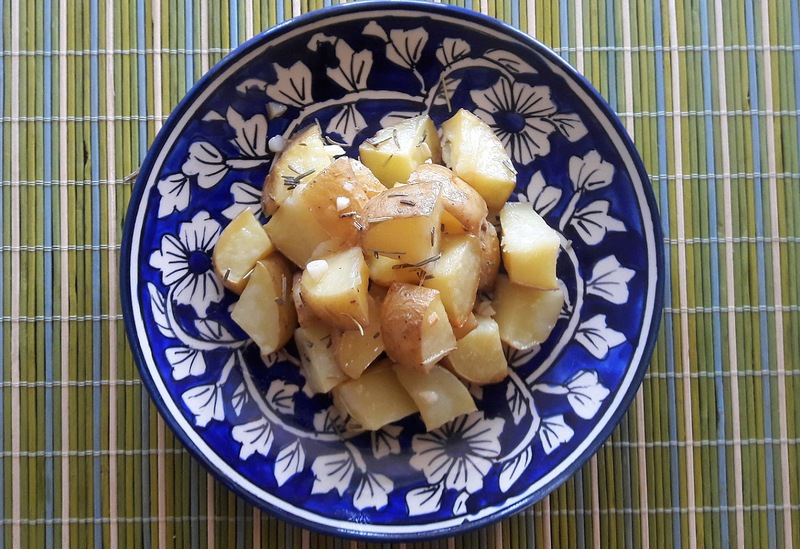 Roasted potatoes make for a great side dish with any continental dish. They take the dish to the next level and make a complete meal out of it. I always wanted to make roasted potatoes at home, but I was stumped by the lack of an oven. Yeah, well, moving on... I got over that when I got the new oven at home. 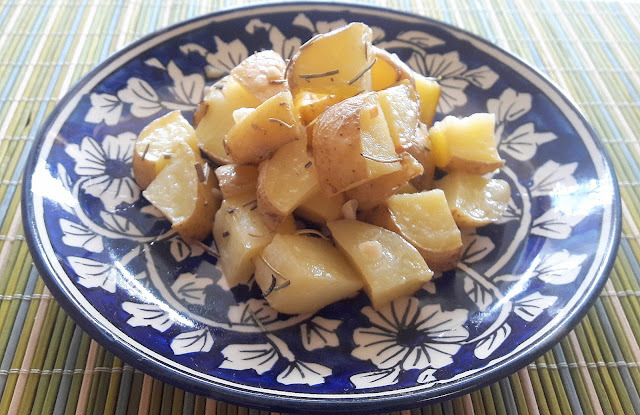 I tried mixing up some rosemary and garlic with the traditional salt and olive oil tossed roasted potatoes. The results were just brilliant! And here I am typing away the recipe for all you lovely readers. Do try it at home, and let me know how it turns out for you! Preheat the oven to 180 degrees Celsius for 10-12 minutes. In a bowl, mix the olive oil, salt, garlic and rosemary. Put the diced potatoes in and toss them well with your hands. Make sure the potatoes are coated all over by the oil, garlic and herb mixture. Grease a baking tray. Place the coated potatoes on it such that they form one across it. Serve as a side with grilled meats or pasta dishes.